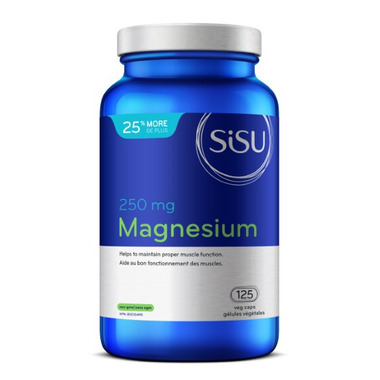 SISU Magnesium helps to maintain proper muscle function. Helps the body to metabolize carbohydrates, fats and proteins. Non-medicinal: magnesium stearate (vegetable), silicon dioxide. Dosage: (Adult) Take 1 capsule daily or as directed by a health care practitioner. Very good quality Mg. I've had my fair share with different brands, and this is my favourite so far.